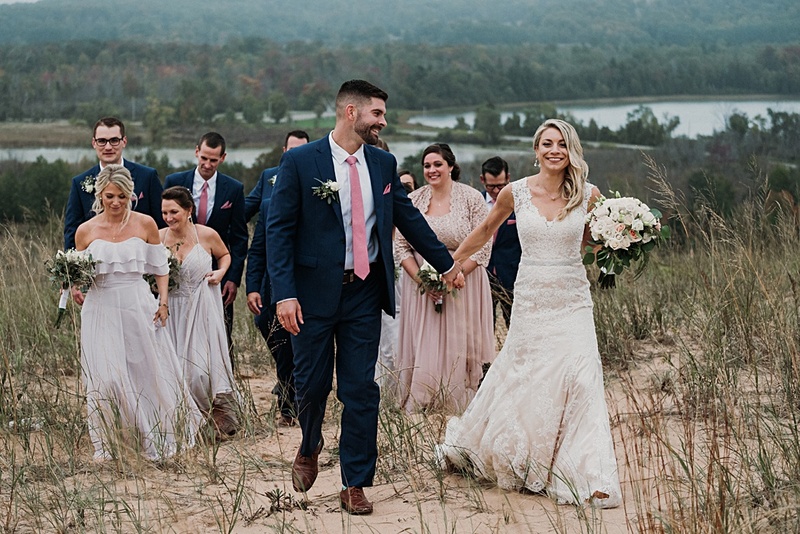 Megan and Josh’s Homestead Wedding in Glen Arbor, Michigan was truly one of a kind. 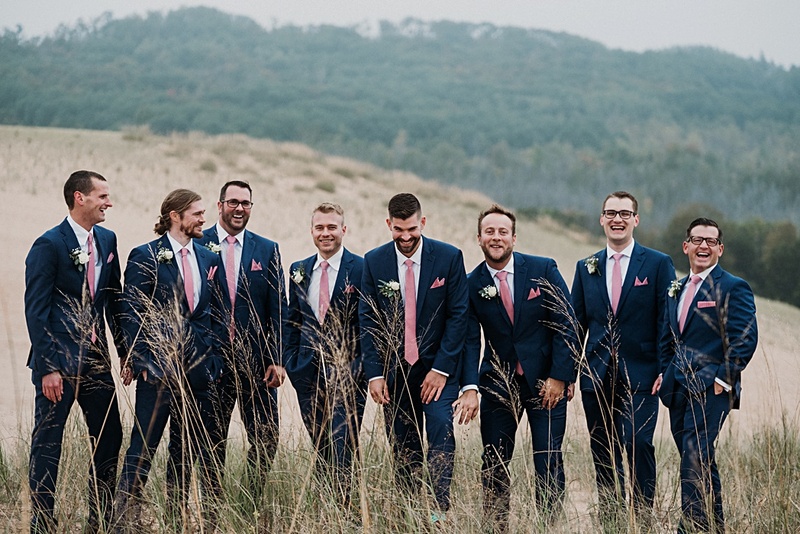 They wanted a big and simple wedding with beautiful Northern Michigan landscapes. 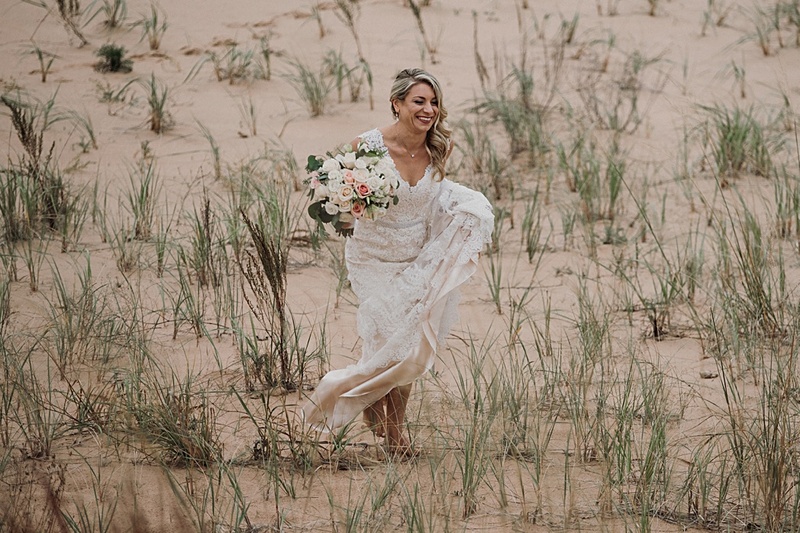 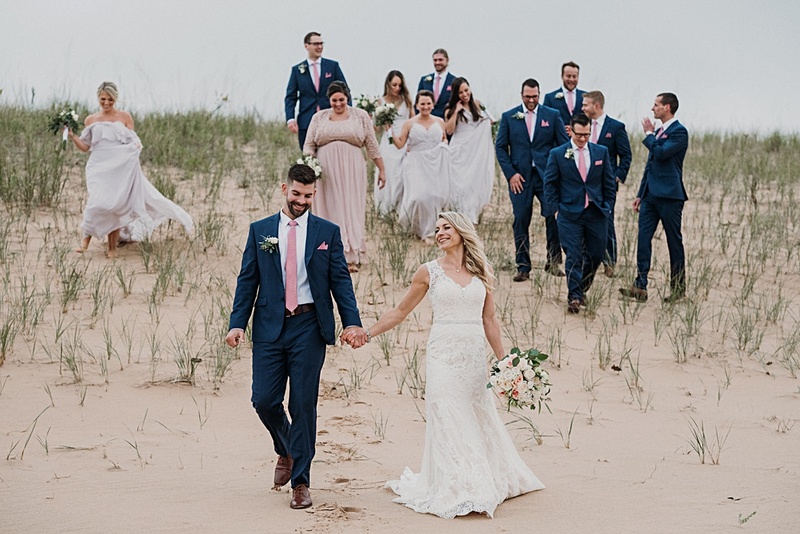 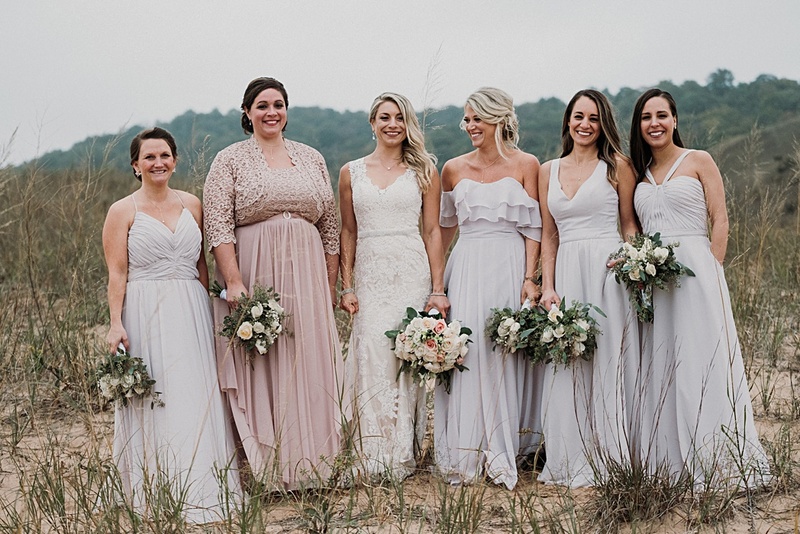 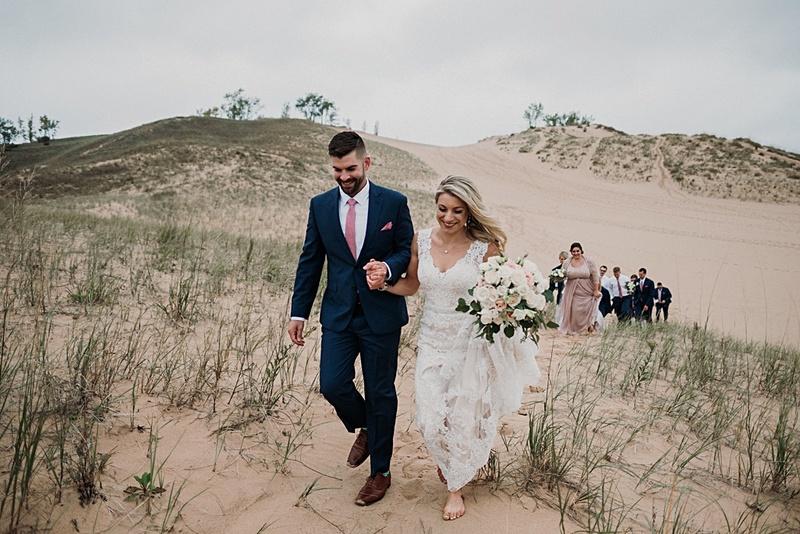 They planned to have a first look at the Dune Climb and a ceremony at the Homestead in Glen Arbor overlooking Lake Michigan. 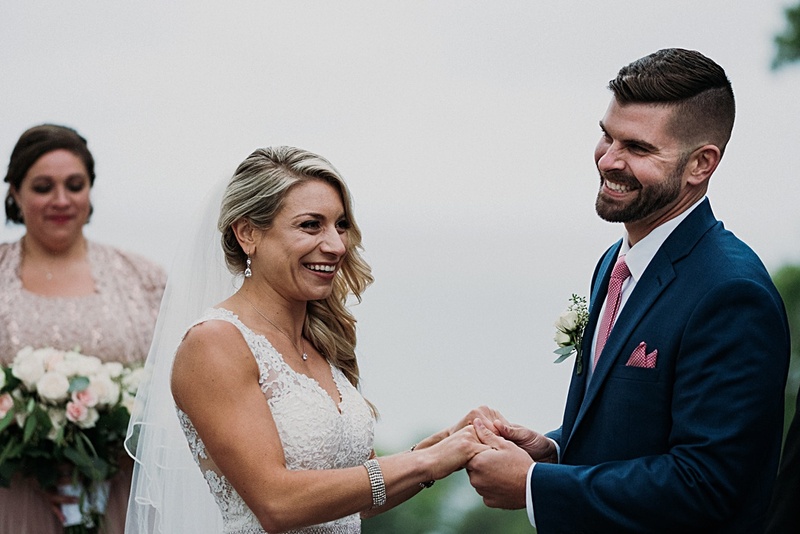 These two met each other at Bell’s Brewery Trivia night. 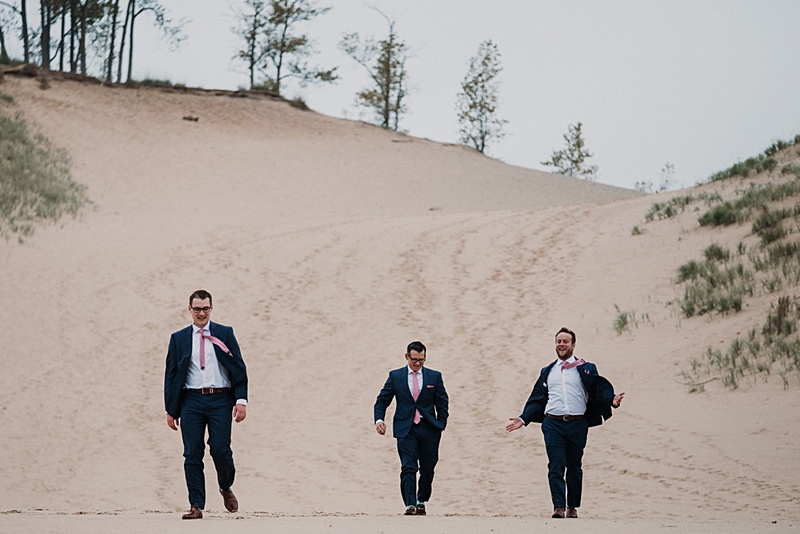 How Michigan is that!? 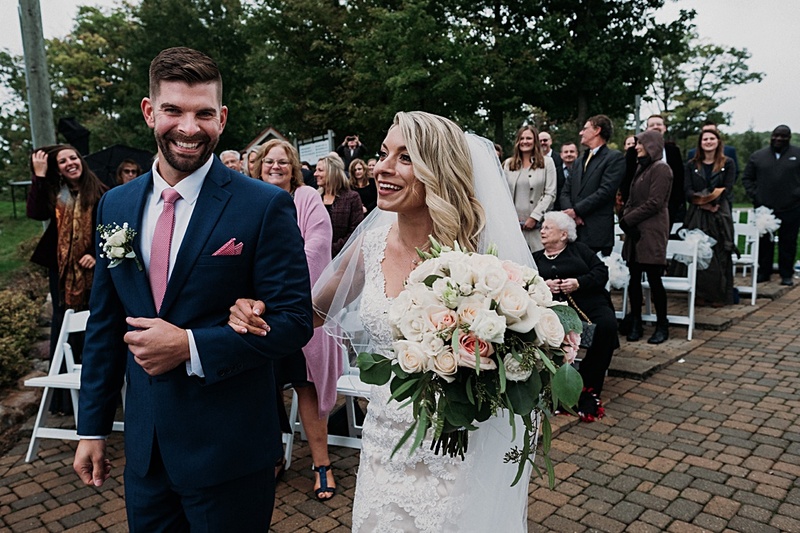 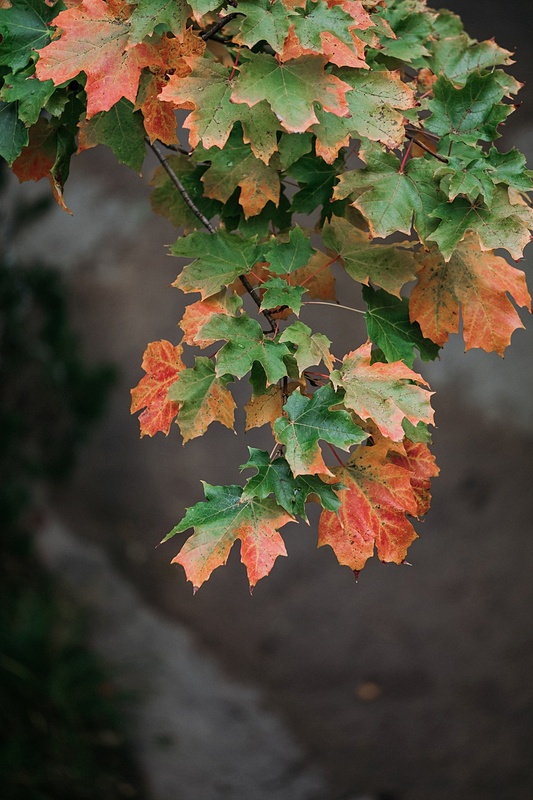 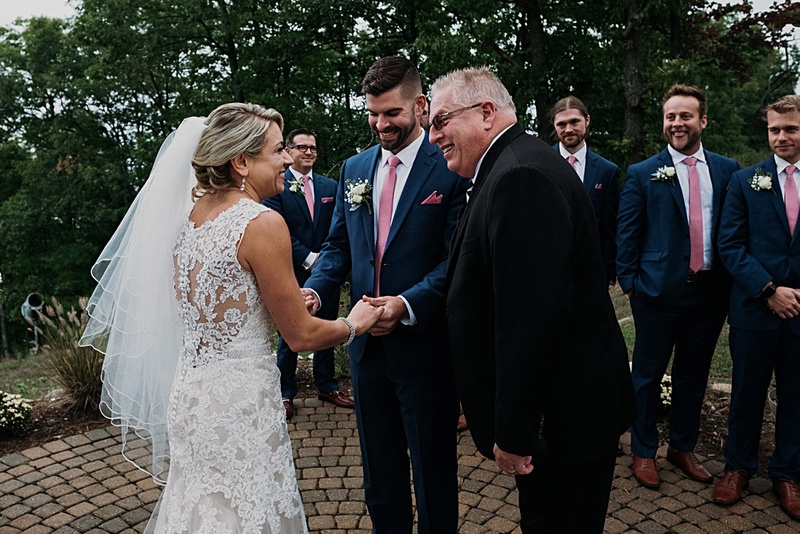 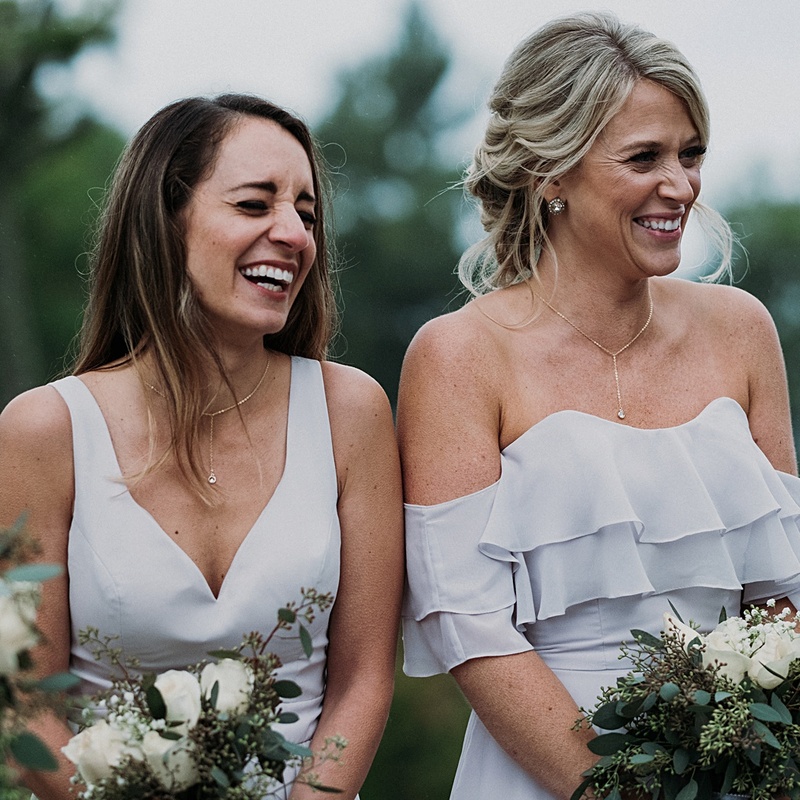 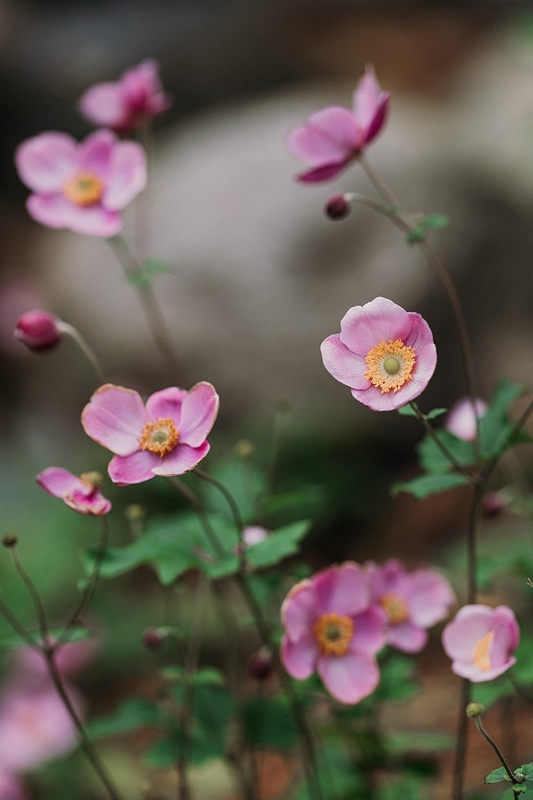 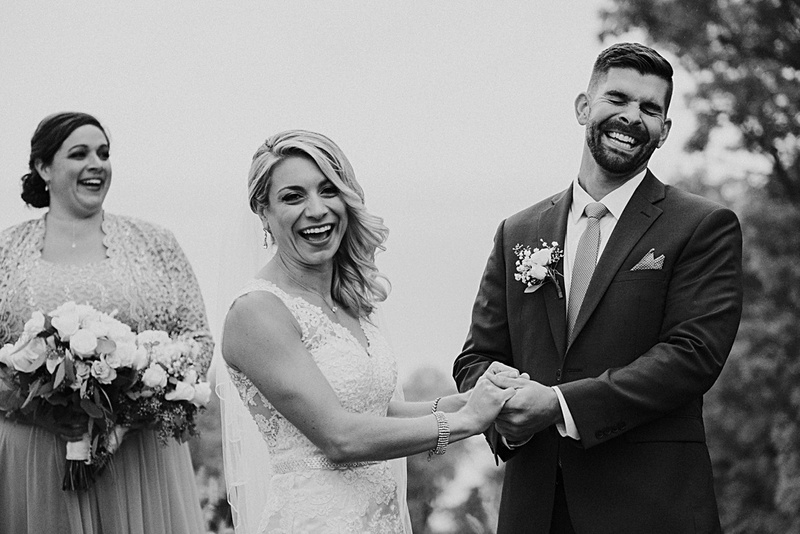 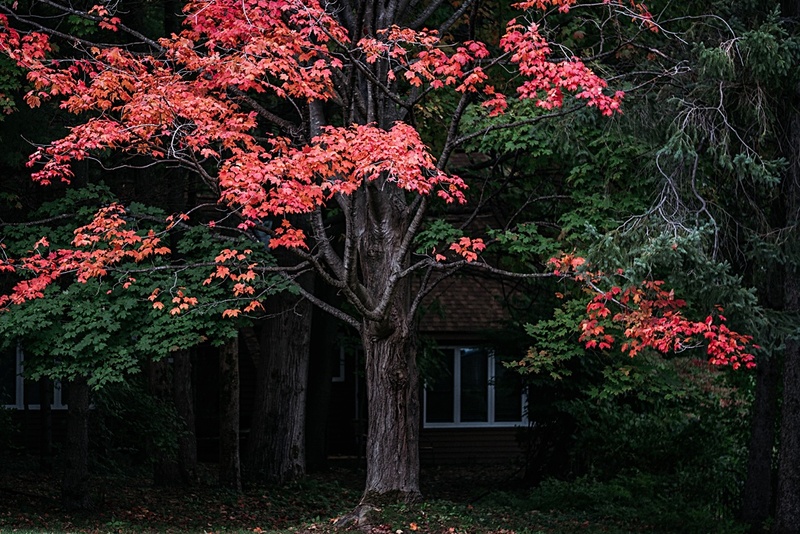 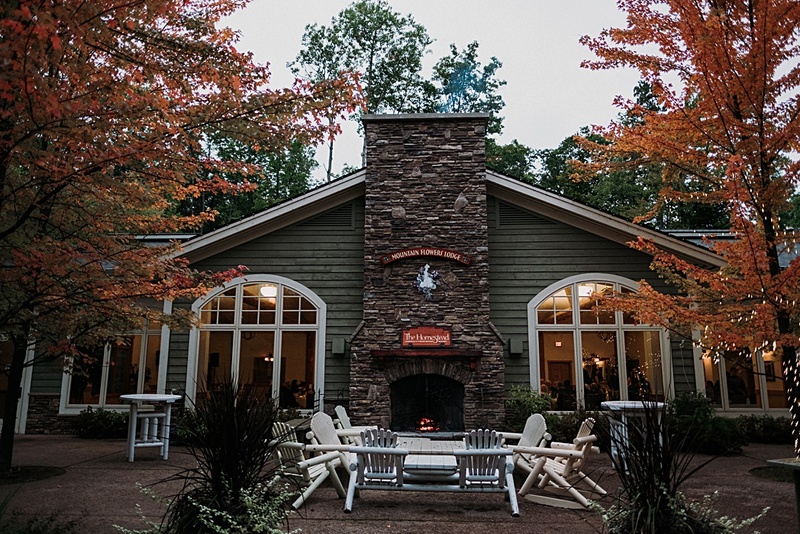 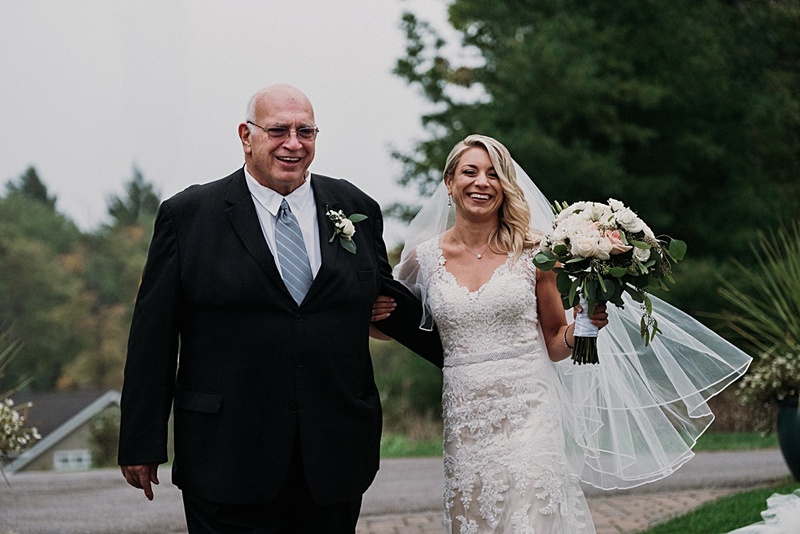 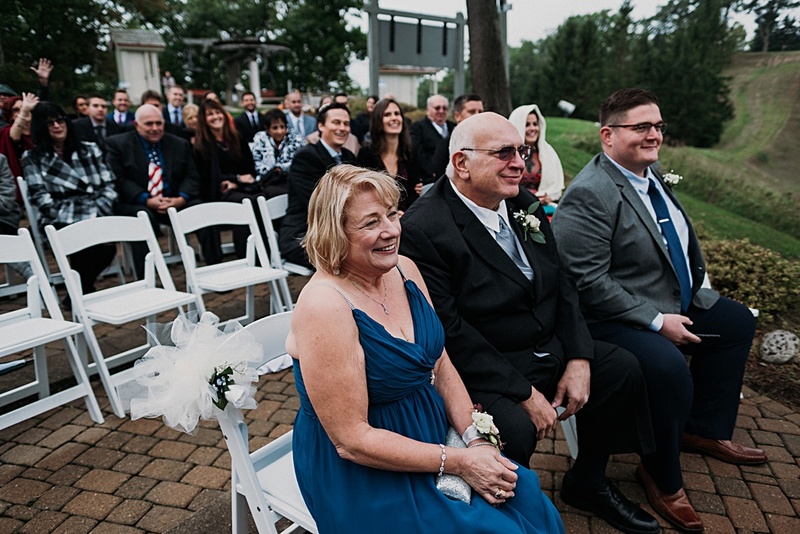 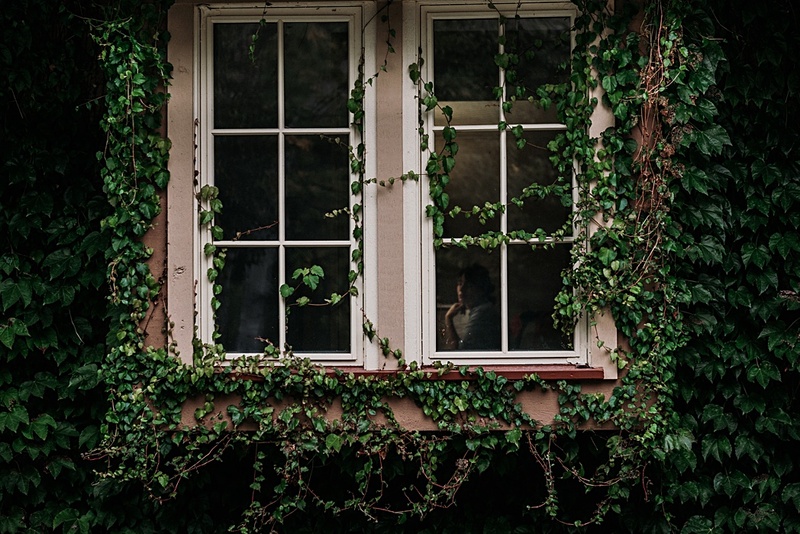 Megan and Josh now live in Kalamazoo, but they love coming up to Glen Arbor every year and knew they wanted a big wedding celebration at the Homestead. 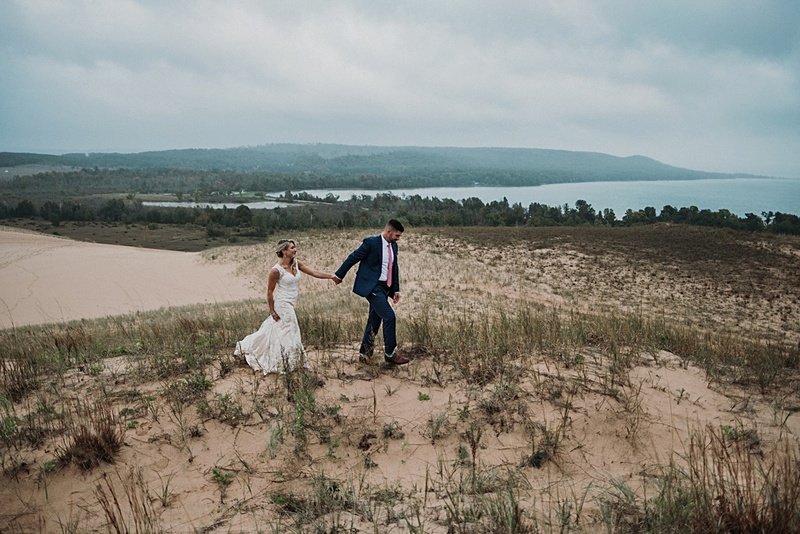 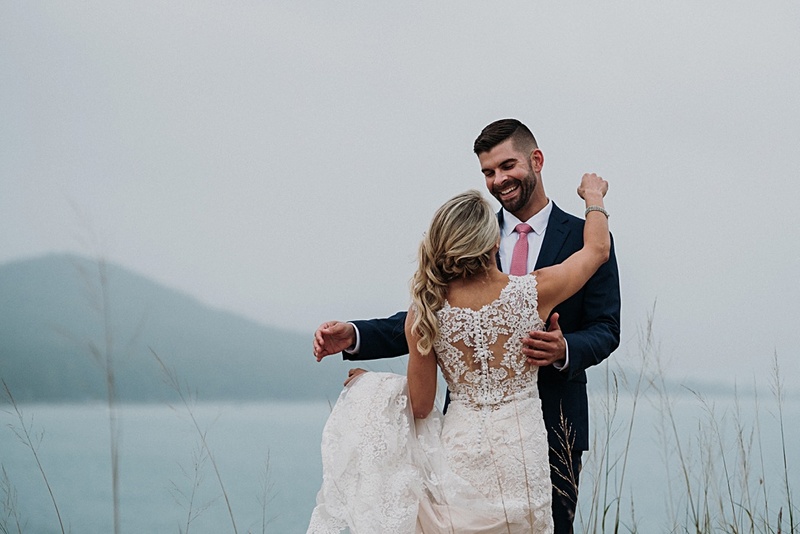 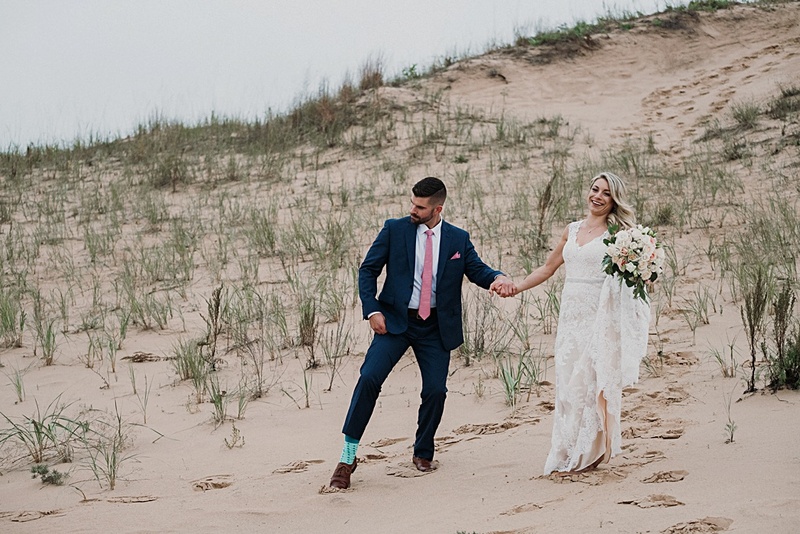 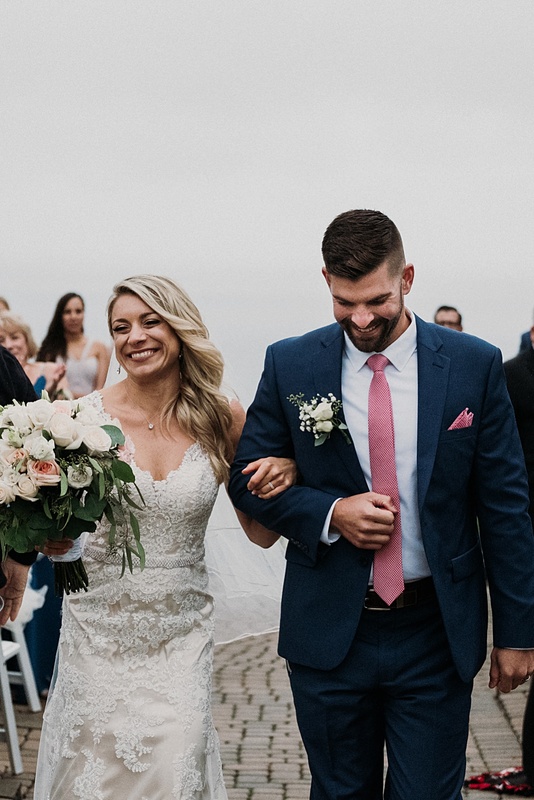 “We love Northern Michigan and are both drawn to the water so it just made sense for us to choose a location on the lakeshore.” Megan and Josh’s family flew in from all over the East Coast, Colorado, Texas, and Southwest Michigan. 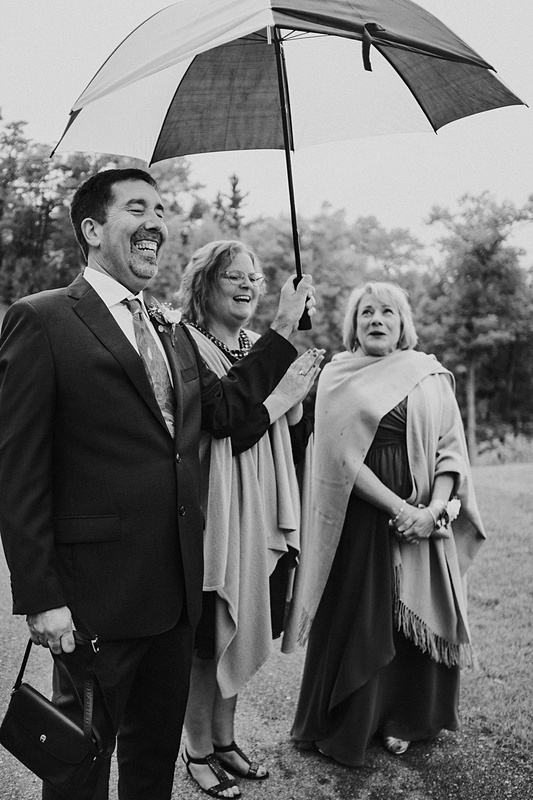 Did I mention that these two are seriously up for any adventure? 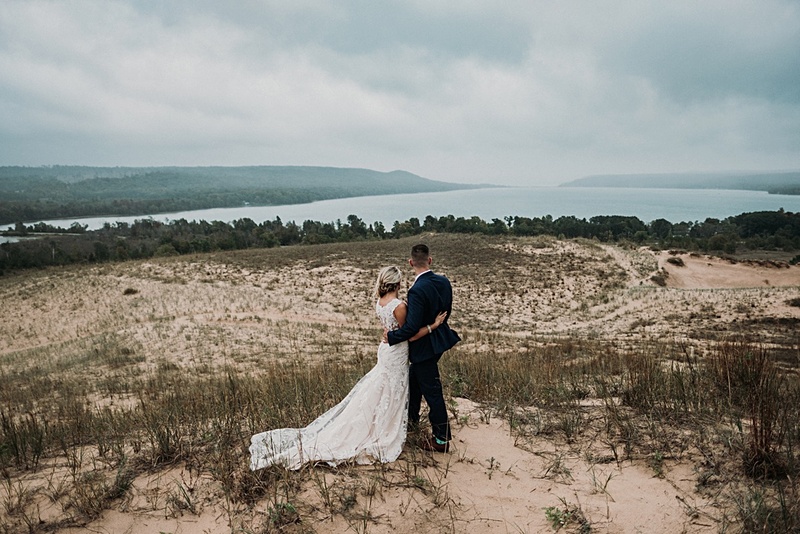 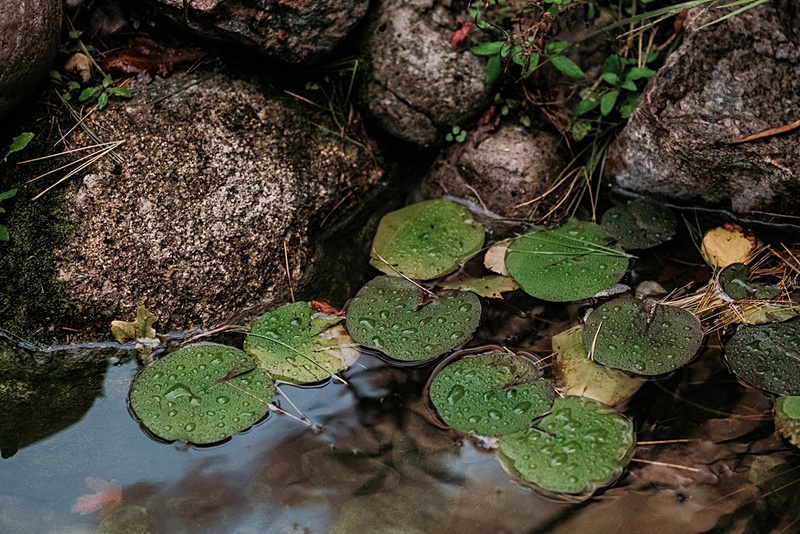 In Michigan, Megan and Josh explored the North Manitou Island, Grand Island, Two Hearted River, and the list goes on. 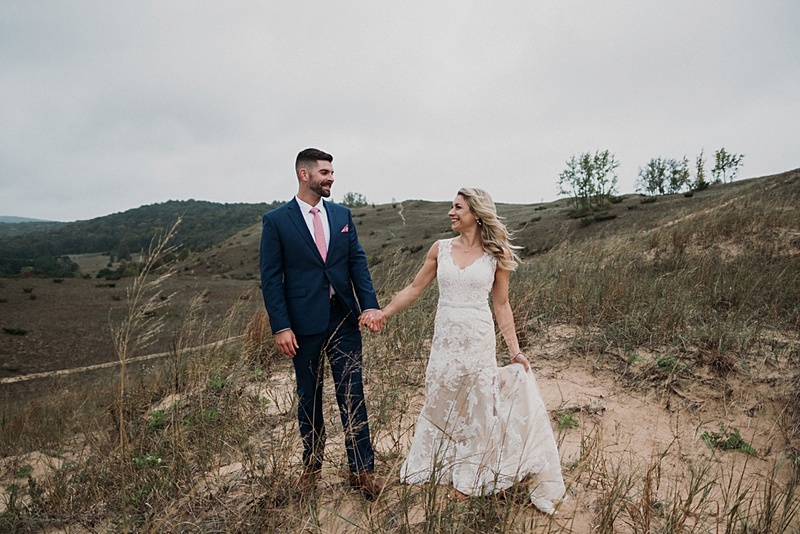 Needless to say, they are true lovers of the outdoors, so I knew they would be up for a scenic first look even if it required a little hike. 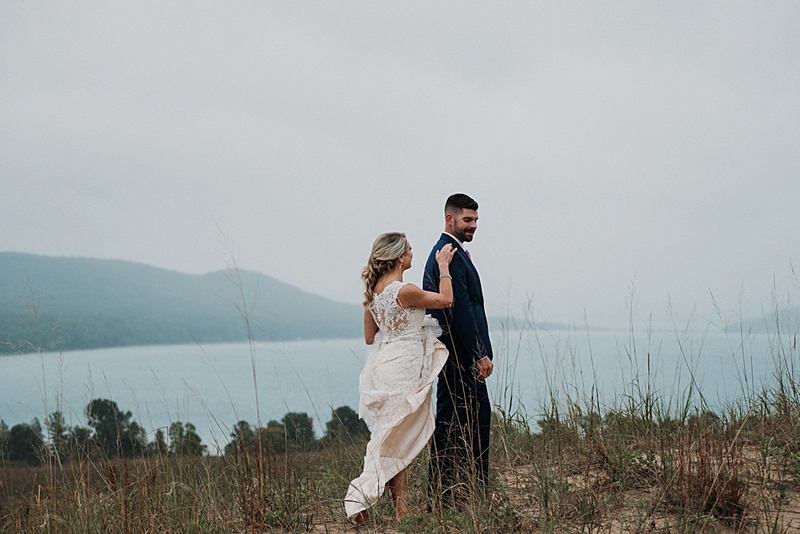 I just happened to know a spot a short drive from their Homestead Wedding in Glen Arbor. 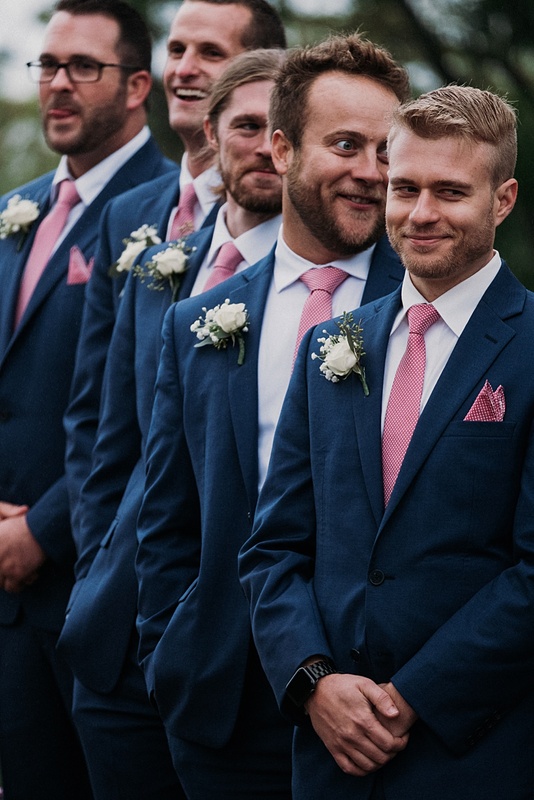 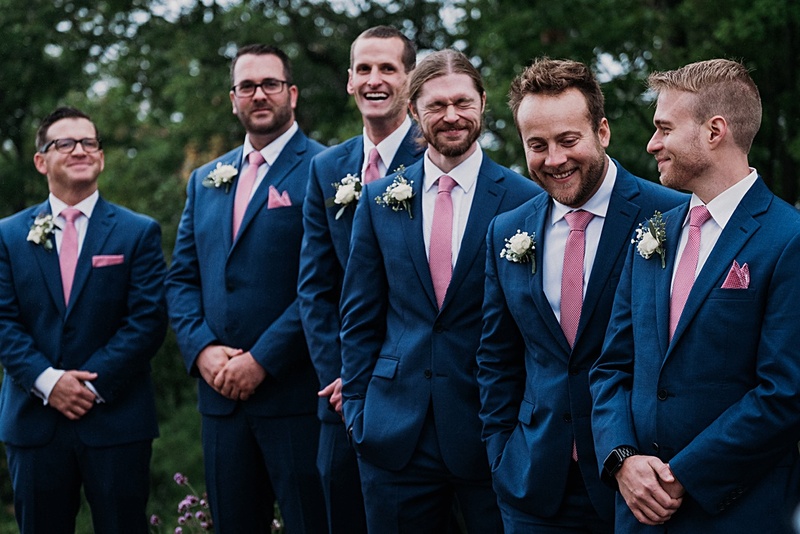 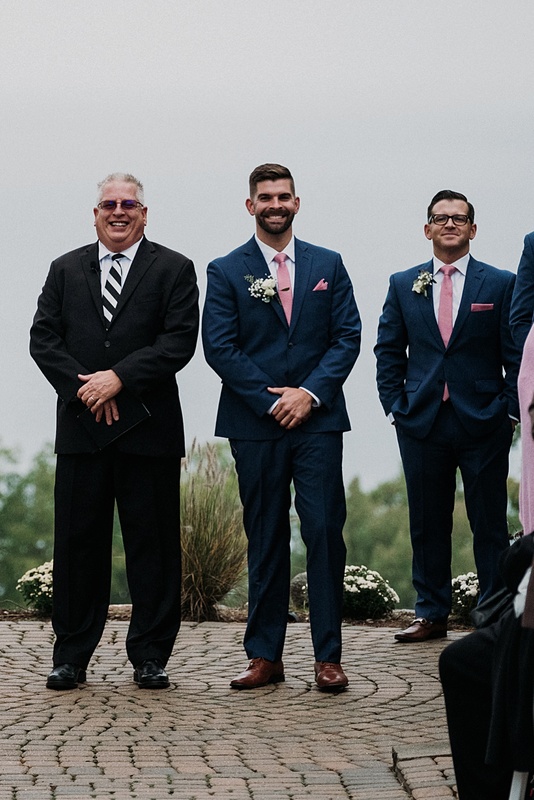 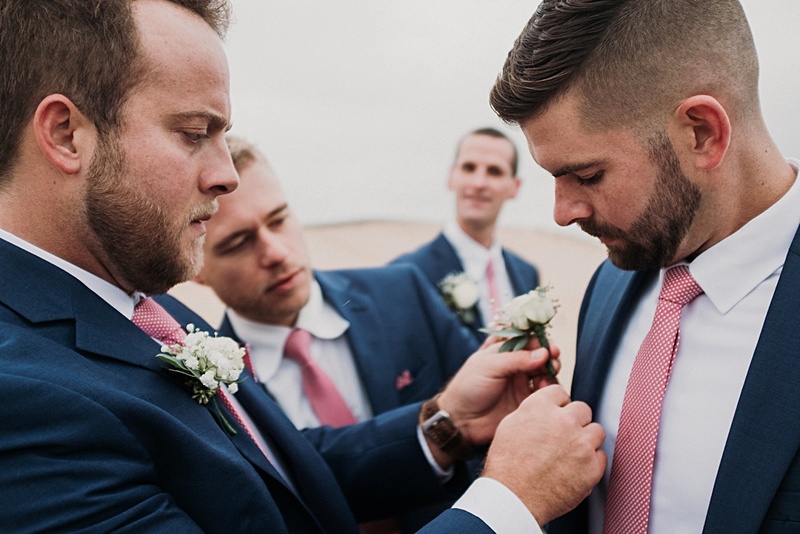 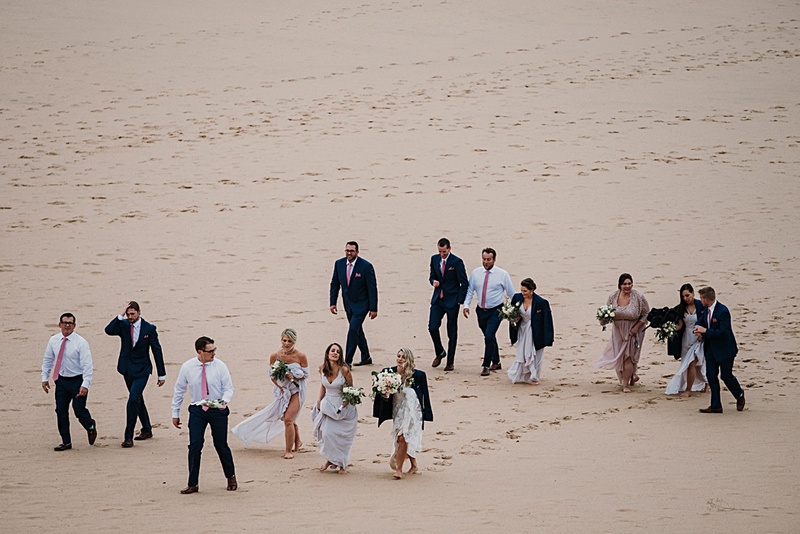 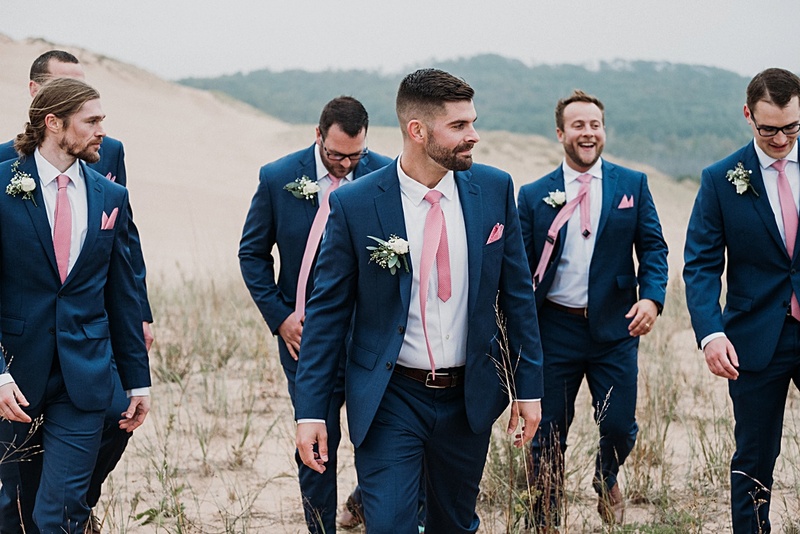 For Megan and Josh’s first look, the groomsmen positioned Josh at the top of the tallest dune overlooking Glen Lake. 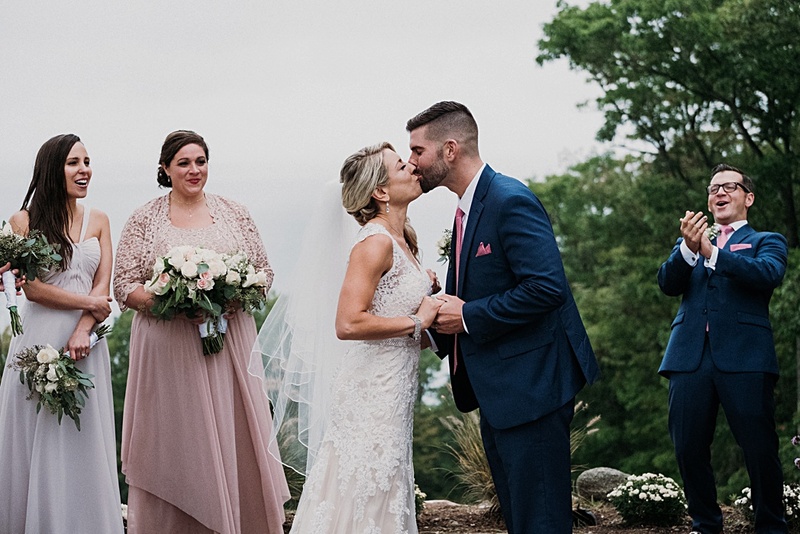 Megan tapped Josh on the shoulder. 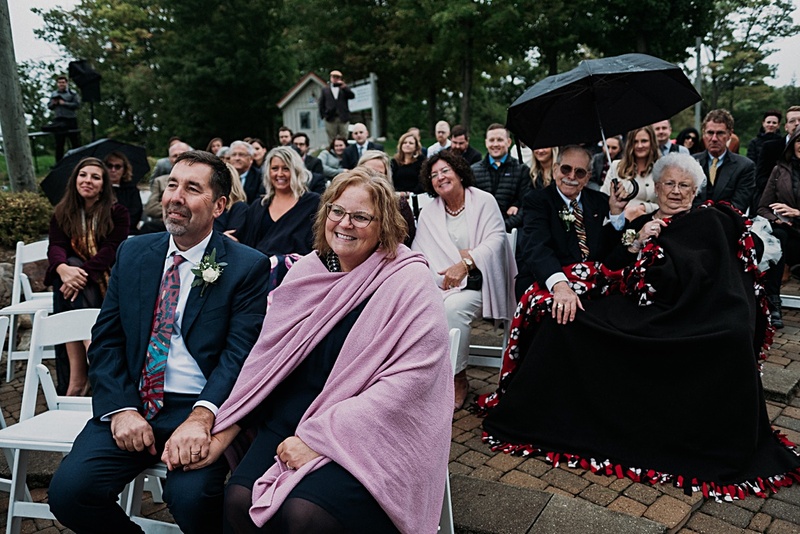 They embraced with their closest friends cheering them on and all smiles despite wind and rain. 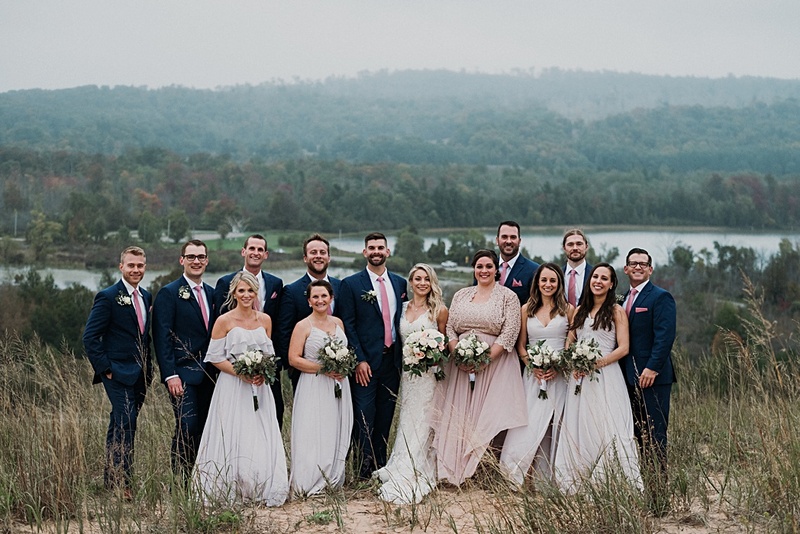 After the first look, the bridal party caravanned back to the Homestead for a hilltop ceremony. 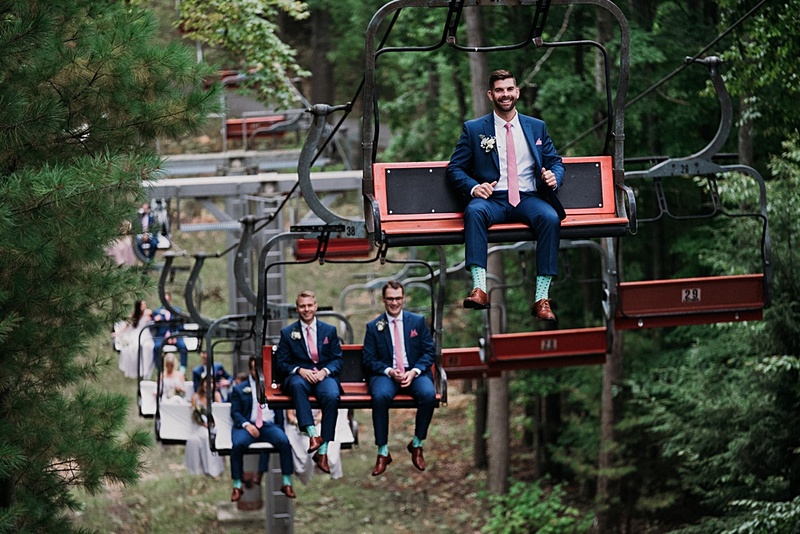 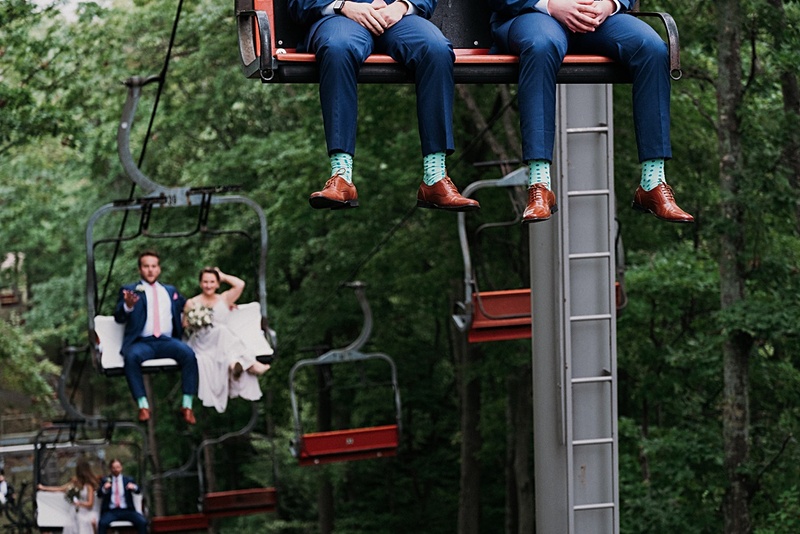 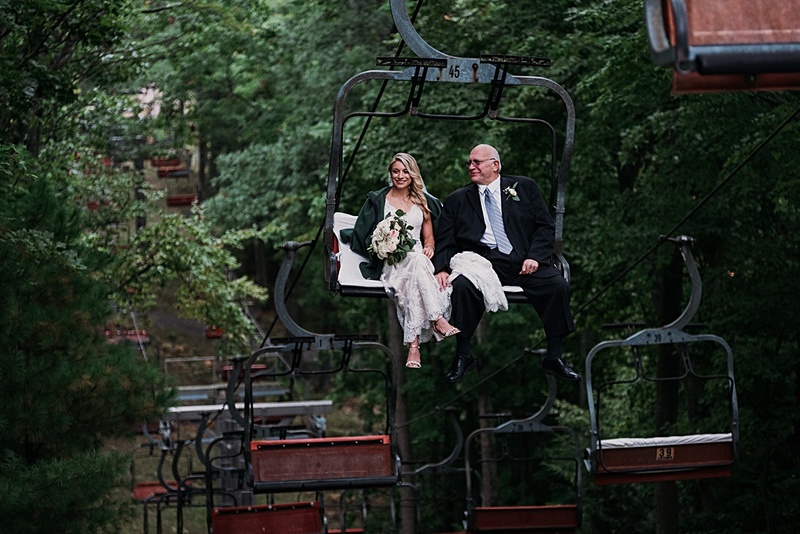 It’s not every wedding you get to ride a ski lift up to the ceremony site. 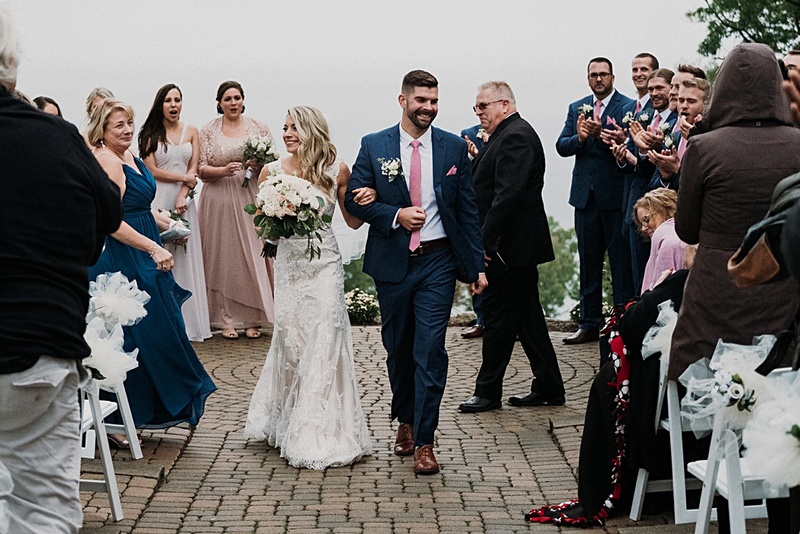 Megan and Josh shared lots of laughs, exchanged vows, and made their exit. 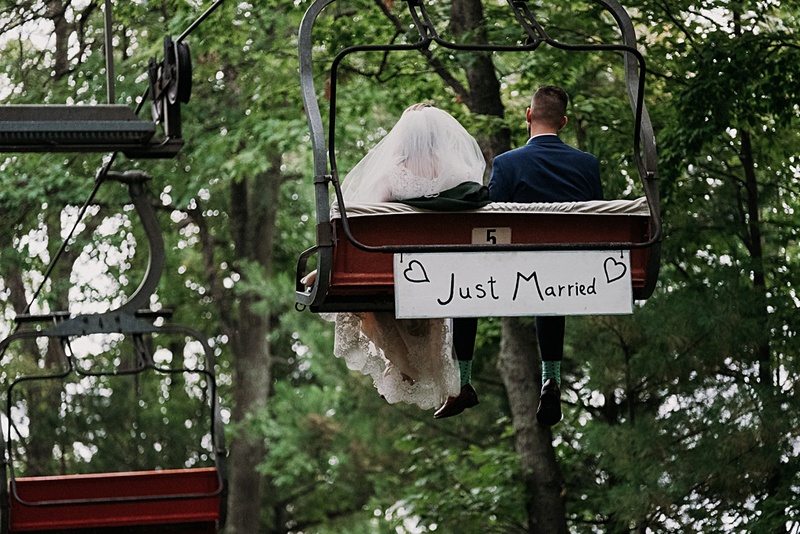 After the ceremony, Megan and Josh rode down to their Homestead reception. 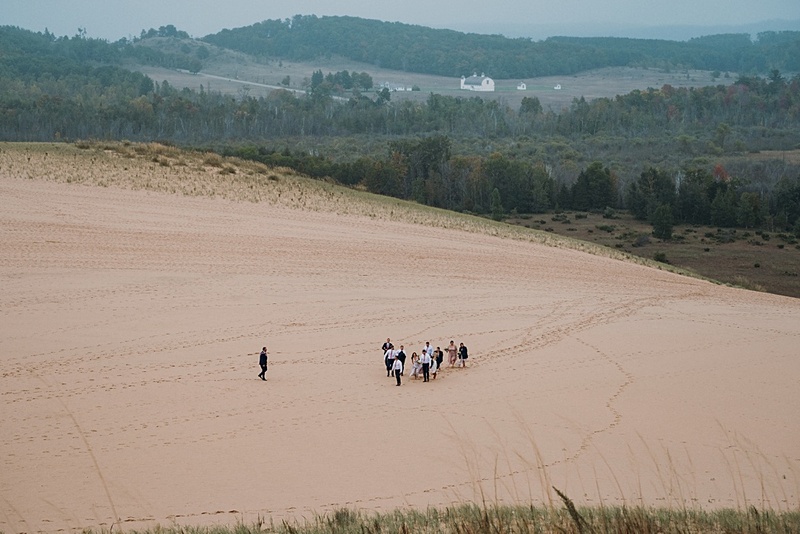 Here’s where the real fun began. 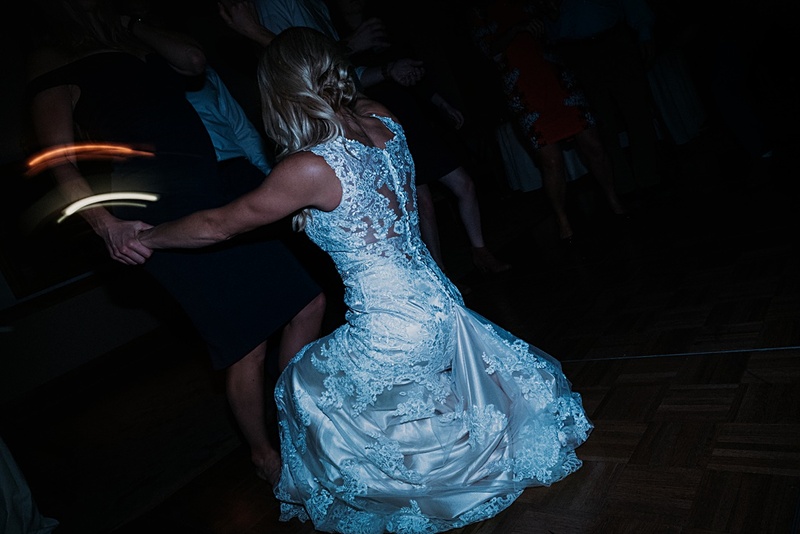 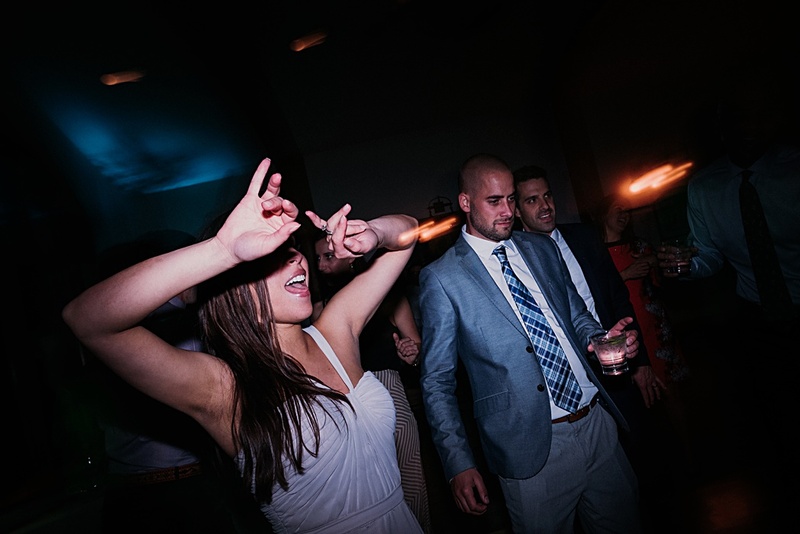 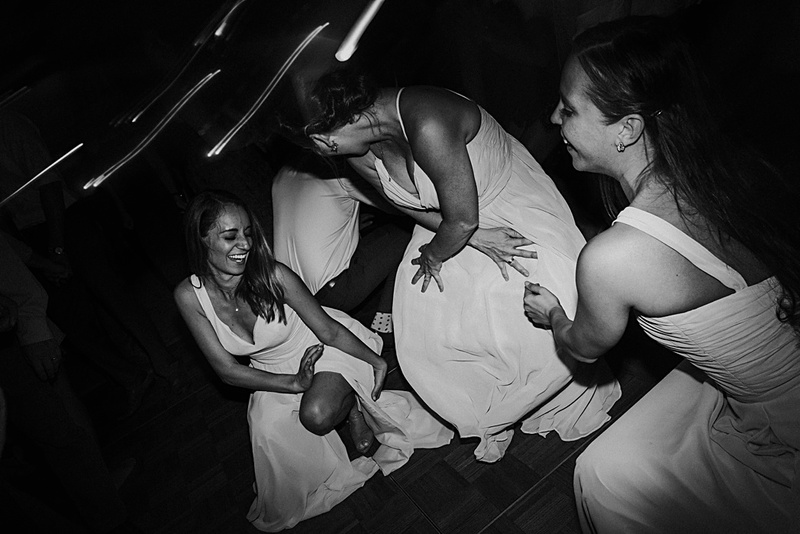 Megan’s favorite moment: “When our photographer started busting moves on the dance floor! 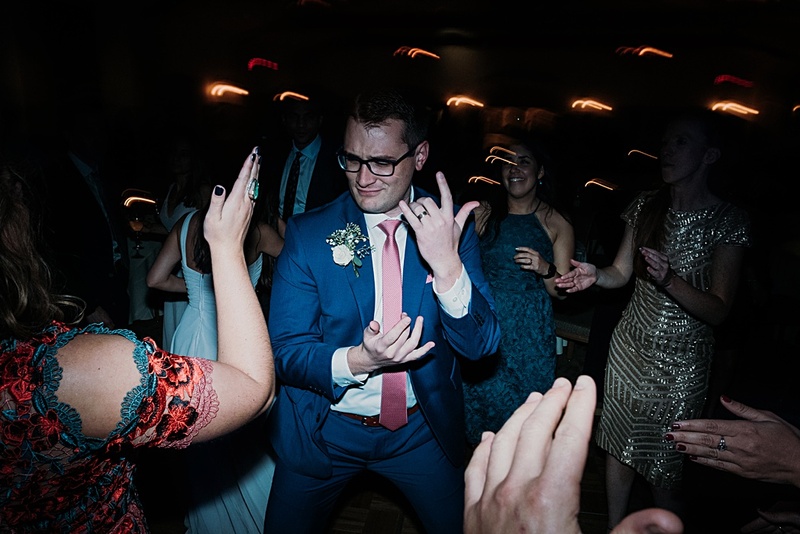 Everyone, including us, loved it. 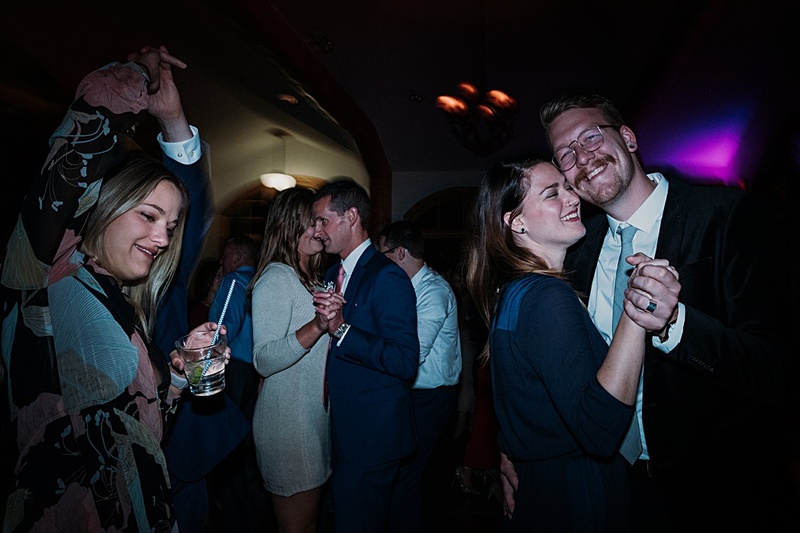 I think pictures still managed to be taken during the dancing. 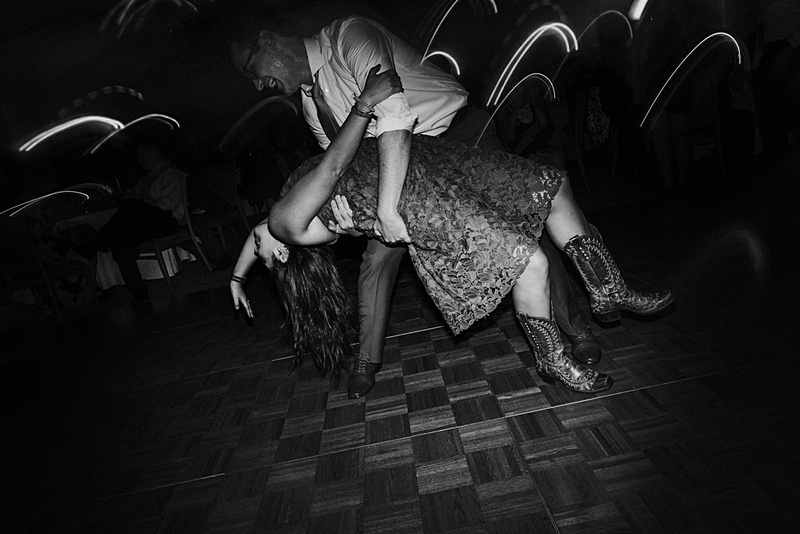 Quite impressive.” Haha. 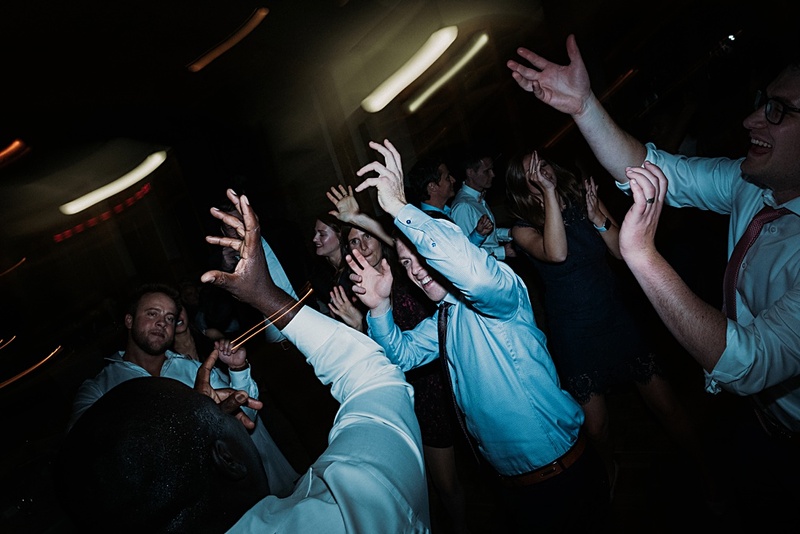 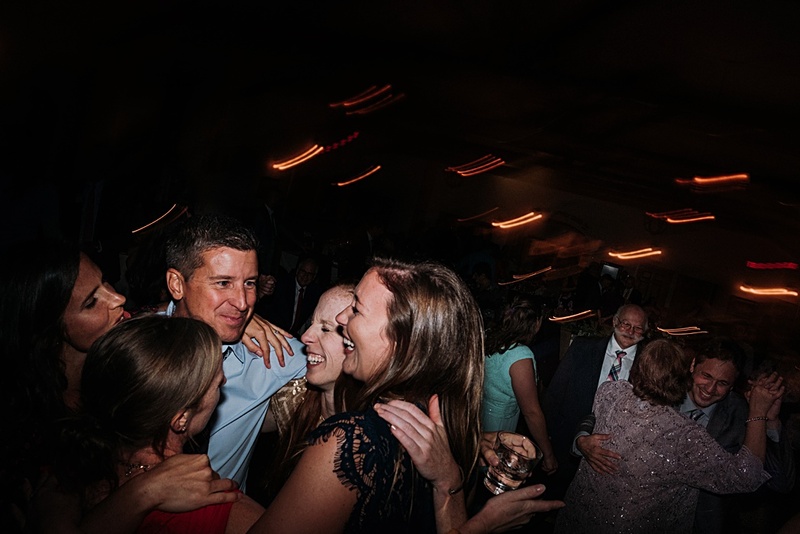 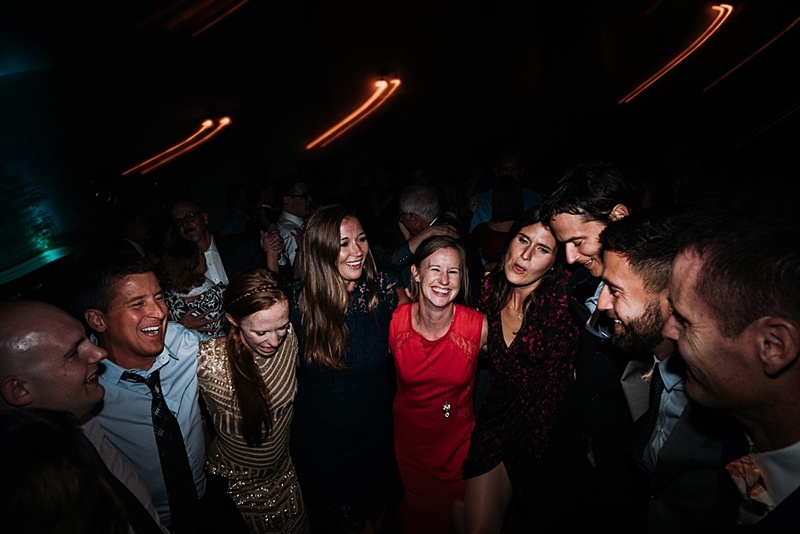 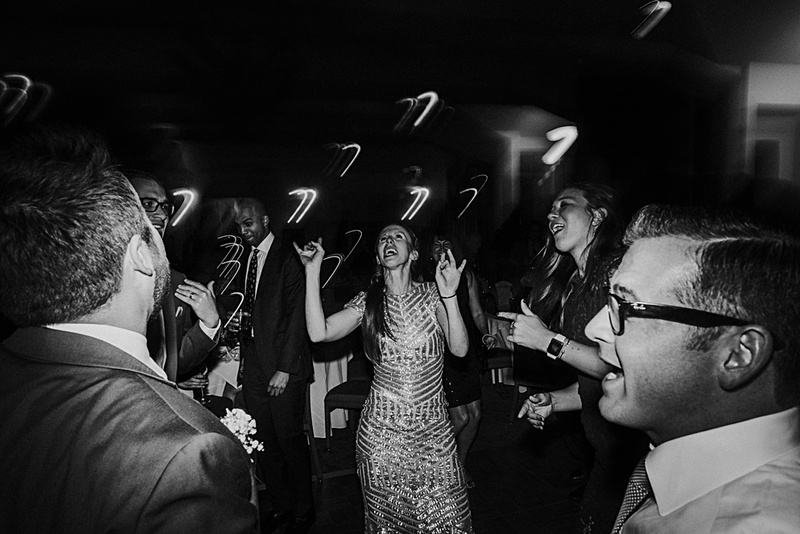 I had such much fun cutting loose and taking fun photos of all your guests getting down.